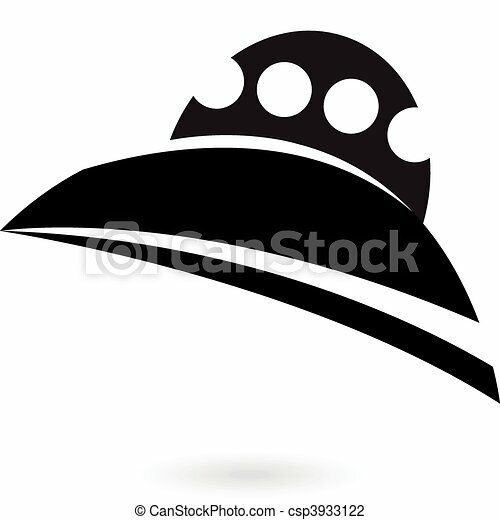 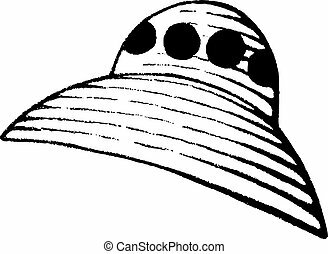 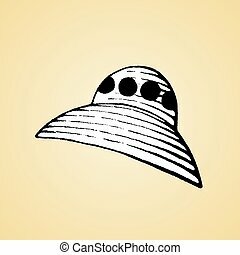 Black alien ship icon isolated on white. 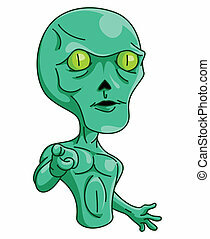 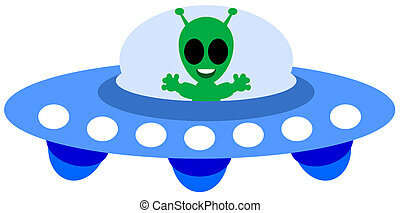 A cartoon alien in a ship. 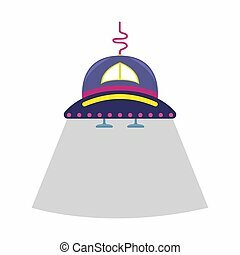 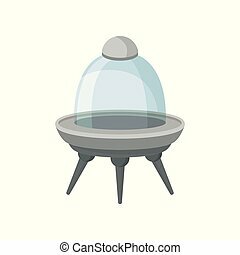 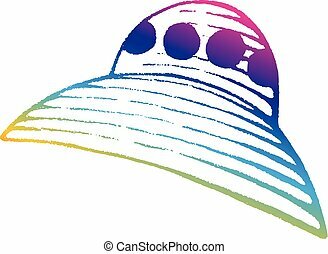 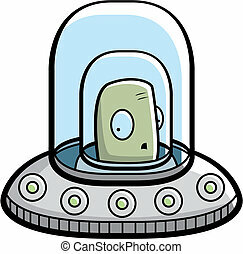 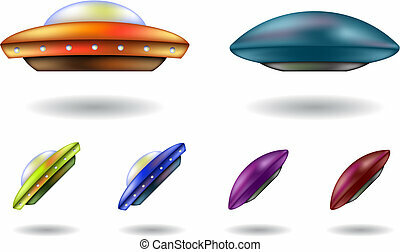 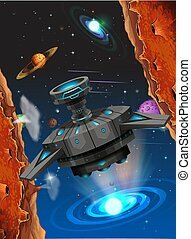 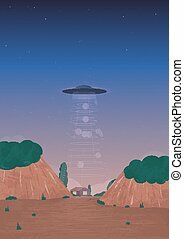 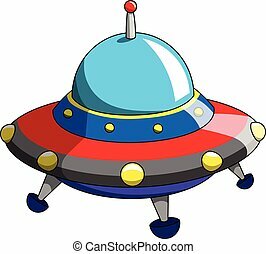 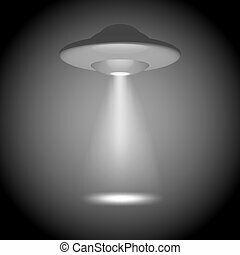 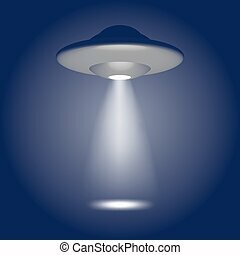 Cartoon vector flat illustration with a alien ship. 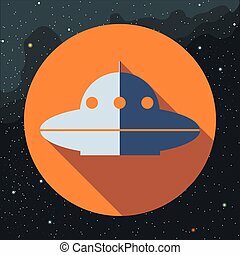 Cartoon vector flat illustration with a alien ship. 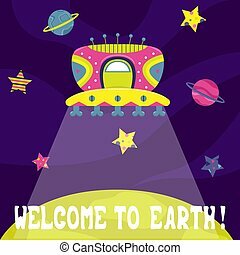 Welcome to Earth! 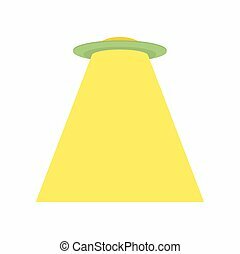 Alien ship arrival, UFO on the horizon, over the house. 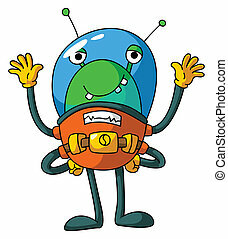 Cartoon style illustration.